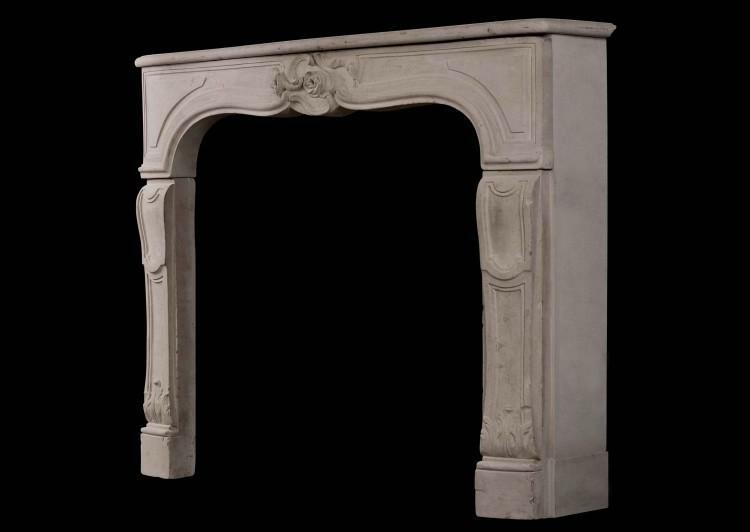 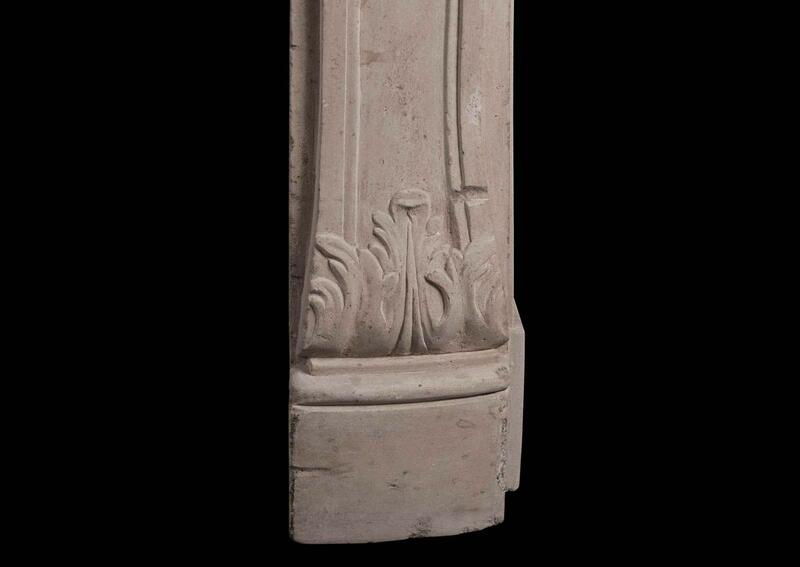 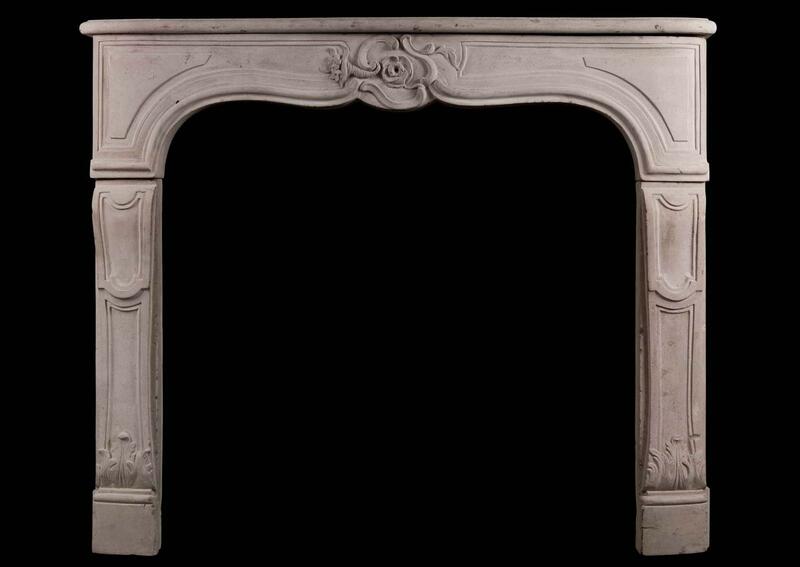 A good quality period 18th century Louis XV limestone fireplace. The panelled jambs with stiff leaves to bases, the carved frieze with flowers to centre surmounted by shaped shelf. 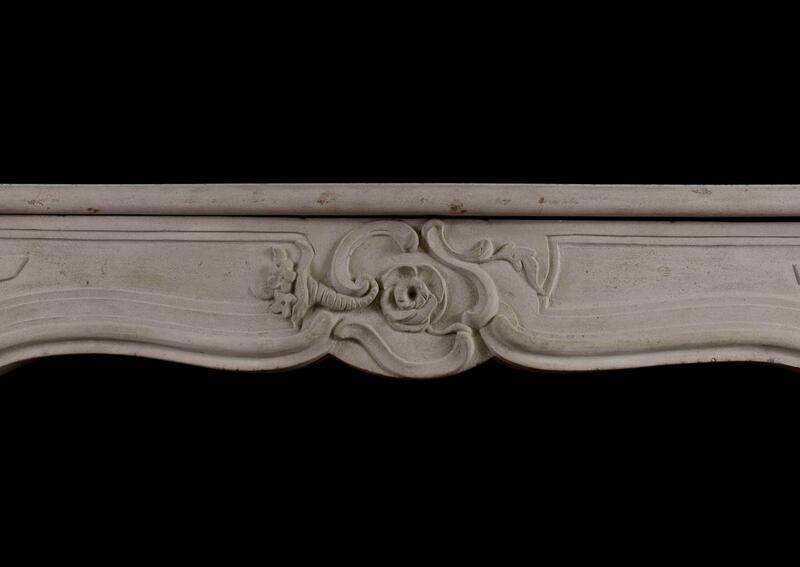 An unusual piece.